Congratulations, you’re going to have a baby! Now what?! To start, your life is about to change entirely — and that means everything from your sleep schedule to your finances. There is going to be a litany of expenses in your future, from the minor necessities like strollers, diapers, and toys to the larger costs looming in the form of health insurance and college tuition. With your little bundle of joy on the way, it’s time to start figuring out how you’re going to pay for all of the important expenditures that you are facing. That’s going to require some smart budgeting practices to help you allocate enough of your money to all of your baby’s needs in the short-term while still keeping an eye on the long-term goals you’ll want to establish now. So just exactly what are you about to deal with? How on Earth are you going to pay for it all? These are some very good questions and we’re here to help you answer those important queries to get you fully prepared for the roller-coaster ride that is parenthood. Don’t think your current monthly payments are going to just disappear, either. Unfortunately, they’ll still be there waiting to be paid off by their due dates even while you deal with the new expenses for your baby. The stark reality of the situation is that you have plenty of things to consider and reconsider as you ready for the arrival of the newest addition to your family. You’ve got a lot of ground to cover, so let’s get right to the most critical stuff first. Yes, diapers are going to be a vital necessity, but put those aside for the moment and focus on where you are financially. How much do you have in savings? Are you both working at the moment and will it just be one of you continuing to do so after the baby is born? Or, are one (or both) of you taking a leave of absence? What about daycare costs? These are all important points of discussion in the lead-up to the birth of your child. Budgeting is going to require lots of answers to these questions. Only then will you be able to start saving effectively. For instance, you’re going to need to factor in how much income will be lost if one of you plans on taking some length of unpaid leave. Employers have the ability to give up to 12 weeks of unpaid leave for expectant parents under the Family Medical Leave Act. You may be among those lucky workers who are employed by the 19% of companies in the country that offer paid maternity leave. Companies like Amazon, Netflix, and Microsoft are among the best of them, with some offering maternity leave to both Moms and Dads for up to a year! However, if you’re not employed by one of these organizations you’ll need to find out how much unpaid leave your company offers. Then calculate what you will lose in terms of salary and benefits during that time as well as any lost revenue to your 401(k). You’ll also need to consider your typical monthly expenses such as rent or mortgage payments, utility bills, groceries, and most important, your insurance premiums. You’re about to have a baby, so you cannot let your insurance lapse at this crucial time. Start looking into child-care costs as well. That will account for one of the larger ongoing additions to your budget. These costs aren’t just for putting junior into daycare, either. You’re going to need to account for the costs of routine maternity care including prenatal and post-natal care, labor, and delivery expenses. Your insurance should cover many of these expenditures, but you will have out of pocket costs that you’ll be expected to pay as well. Contact your provider or review your policy to see what is covered and what is not under your insurance plan. Once you have that down, start looking into what your options are for daycare in the future and what that will cost you per month. Most daycare facilities can run close to $10,000 a year on average and these prices can fluctuate based on where you live. If you prefer to hire live-in help instead, that will also affect your overall costs and you could be looking at a weekly expense that could reach $1,000 a week. The extent of care you need, the hours that your hire will put in, the age of your child, and where you live will also be a factor in your overall child care costs. Start saving your money now. You can begin with establishing an emergency fund or a cushion of available revenue in the event something comes up. Having that to rely on will keep you from going flat broke if and when some major unexpected expense hits you from out of the blue. A general rule of thumb here is to sock away about three to six months of living expenses for a rainy day. If only one of you is working full time, then you should probably increase your emergency fund by another couple of months. You never know when you’ll need it and when you do it’ll be a lifesaver. What about the rest? With a new addition in the home it might be necessary to start making some changes to your spending habits in order to cover everything your little boy or girl is going to need. Your priorities are going to change across the board and that includes your finances. There’s no time like the present to start implementing those necessary changes where your money is concerned. It might mean sacrificing some of the foundations of your current lifestyle. Eating out less, trade in your car for something more affordable, bring down your automobile insurance premiums, cut back on dry cleaning, and find ways to reduce your costs in lieu of those that are about to come your way. Start here. Tackle the initial year of baby’s expenses first as it will keep you from pulling your hair out trying to do the same for the rest of your child’s life. Approaching the task in piecemeal fashion is your best bet for being well-prepared when the child is born. So what does that entail, exactly, and how much are you really looking at spending in your first year? That is all dependent upon your particular financial situation. While you’re likely going to want to spoil your little one and provide him or her with the best of everything, it may not be entirely realistic. Before you sit down to make your itemized shopping list, decide on the essentials and eschew the superfluous or self-indulgent items that will only serve to break the bank instead of provide any real value or purpose. If you’re not sure about what those things are, have a chat with some other parents in your social circle and get their thoughts. Keep in mind what their financial situations are like and if they are in line with your income level and priorities for spending. However, there are going to be some essentials everyone can agree upon. Take a look at any of the baby cost calculators you can find online as they can provide helpful guidance for making your budget. Diapers will top the list of must-haves. You’re going to be needing a lot of them and those can get pretty expensive, to the tune of about $72 a month. We’re talking about standard disposable diapers that you use once and throw away. If you’re considering something more long-term in the way of a cloth item that you send out for cleaning, the price can get a bit costlier at roughly $78 or more a month. Cut the service part out and do the cleaning yourself and that will greatly reduce your costs to about $19 a month. These are just some of the decisions you’re going to need to contemplate as you start to create your budget. 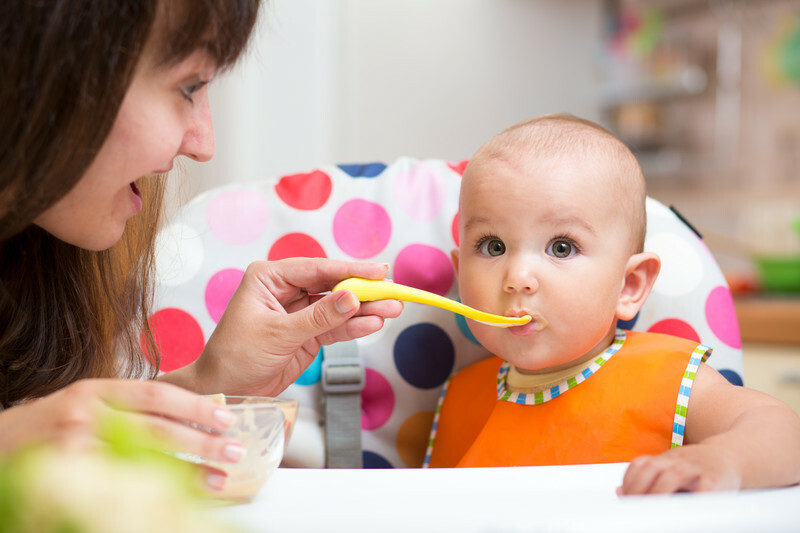 Feeding your new baby is just as critical as diapering him or her. This is another expense that will account for a large portion of your budget, for the first year in particular. If you’re planning on breastfeeding ,then that will certainly reduce some of your costs. However, you’ll likely need to buy some gear to help you out such as a breast pump, bottles, and various other related accessories like bras and a nursing pillow. Factor in formula or any other solid foods and that will really affect your costs. The former can get pretty expensive so you’ll want to do some bargain hunting and price comparisons to find the best deals. Clothing is another expense you will need to factor into your budget. In this case, you’re going to want to refrain from purchasing too many items for your baby. He or she is only going to grow out of those newborn onesies in a short period of time and you’ll just need to purchase new clothes to keep up with his or her rapid rate of growth. Once your baby grows too big for his or her infant clothing, you’re not going to get much use out of it unless you plan on having another child in the foreseeable future. Then you might want to invest a bit more in baby clothes for the first year since you’ll have it for the next child and you won’t need to buy new things all over again. Health insurance is also a vital necessity, not just for your baby’s well-being but in order to comply with new federal laws under the Affordable Care Act. Although you must normally wait for an open enrollment period to apply for new insurance or make changes to an existing policy, having a baby is considered a “qualifying event” during which time you may enroll your infant into a plan. New parents have a 30 day window to decide on a plan for coverage. 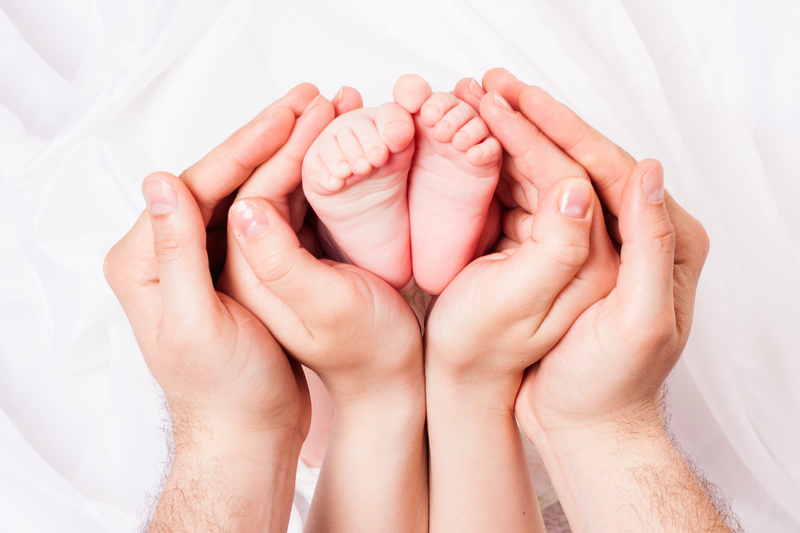 Most parents elect to add their newborn to their current insurance plan. Once the child is enrolled in an insurance policy, all medical expenses for him or her will be retroactively covered from their date of birth. This includes all medical expenses from routine checkups to major medical procedures. During this qualifying event, you should shop around for other policies with a child added into the equation. Remember this enrollment period allows you to get new coverage or change the plan you have as well. You’ll want to make the most of this opportunity in finding a low-cost option that works for you and your growing family. This will be an ongoing expense in your budget so search wisely. Then there are the things to keep baby entertained and educated. Toys, books, DVDs, visual and tactile items that get your infant’s mind engaged and on the right track for proper learning development. This is where some parents can get carried away at first, because they think that each little thing is going to make the baby happier and smarter while also making their lives easier. Anything to get their little one to stop crying and the shinier, brighter, or louder it is, all the better to get the job done. Unfortunately, that’s not exactly how it works. While things to play with, chew on, and look at are important, you don’t need to break the bank to get every last thing you come across. But there are some things that will prove extremely useful, like a bouncy seat and a play mat or some other type of gym area where the baby can get a little exercise and playtime. Up until now we’ve been working over the major ongoing expenses you’ll have to pay for on a monthly basis. However, before your baby even arrives there is a full list of items you’re going to want to fit into your budget from the very start. While most of these are one-time purchases that you’ll likely never need to buy again, you also want to be sure you’re getting items of quality that can hold up since you’ll be relying on most of them throughout your child’s infancy all the way up until they can start to talk. In short, you want these purchases to last, especially if you’re just going to need to use it again when your next child arrives should you decide to give your firstborn a sibling or two. Here are just some of the one-time expenditures you can expect to face in your child’s first year. Before your baby is born you’re going to want to have a nursery ready for when he or she arrives in your home. That means furniture and assorted accessories and furnishings. If you want to stick to the basics then focus on a crib or a bassinet, a mattress for it, a small dresser with a changing table, and a rocking chair to soothe and calm the child. You’ll also need some basic bedding, sheets, blankets, a mobile, a baby monitor, and a hamper or wastebasket for diapers. If you want to go the extra mile, you’ll want to invest in some paint and decorations to liven up the room in pink or blue. Now that you’ve made your baby’s new room ready, you’ll want to turn your attention to transportation. The first thing you have to purchase is an infant car seat as these are mandated by federal law. If your child is in an automobile, he or she must be strapped into a regulation seat. After that, you should budget accordingly for a good stroller, a diaper bag, maybe even a portable playpen. The bag in particular will be quite useful as you’ll find yourself using it for everything the baby needs away from home beyond merely diapers. Now that your child is on the way, this is a good time to start building some foundations for the future. That means turning your attention to some of the important things that you may not have thought much about until now. Now is the time to put some thought into them because they will be critical in protecting your family in case of tragedy and get you on the road to saving money for college tuition. It might sound morbid at this point in time, you’re bringing a new life into the world and we’re discussing your eventual death? Believe me, now is the time to start setting up your will because this document outlines your wishes should something to happen to you unexpectedly. That’s not just for your estate and your assorted belongings, in this case specifically it dictates who should be appointed the guardian of your child after you pass on. Obviously, your spouse would be the primary caregiver. If something happens to both you and your partner, or in the event you become estranged from that person and you have sole custody of your child, then you would need to provide the name of the person who would be responsible for your child’s welfare. This is one of those expenses you’ll want to fit into your budget because of the protection it affords your family. If you haven’t purchased any yet, you’re going to want to rectify that as soon as possible. It’s affordable coverage that will keep the financial future of your child bright should you and/or your spouse pass away. There are a variety of different life insurance plans available with premiums that won’t run you much more than five or ten bucks a month. It’s a small price to pay for the peace of mind you’ll get knowing your newborn will have the financial support in place in the event of an unexpected tragedy. Another smart financial move you should be making now is establishing a 529 plan. This is essentially the first step in saving for college tuition. These tax-free plans afford you the ability to start putting money away for school from the very beginning. You have two basic types to choose from: prepaid tuition plans and college savings plans. The first lets you pre-pay the fees and costs on units or credits along with room and board at participating colleges and universities for the purposes of locking in those prices now. It helps to save money on school tuition by getting in on the current prices instead of paying more when they inevitably rise before your child reaches that point in his or her life. The second is a more traditional savings vehicle in which the account holder places money into the account which is then invested into a number of various options including stock mutual funds, bond mutual funds, and money market accounts. Both are ideal ways to ensure your newborn is able to attend college. The earlier you get started, the better. Set one up and deposit any cash gifts that you may receive for the birth of your child. You have a lot to think about and plan for as you await the arrival of your baby. Budgeting is just one of the important things you’ll need to take care of as you adjust and reset virtually every component of your life. The first year is going to be hectic and wonderful, but it’s also going to take a toll on your bank account if you’re not careful. Don’t let that happen; plan accordingly and always look one step ahead when it comes to your finances. That way you’ll be able to give your new boy or girl the life they deserve and you won’t have to go broke trying to do it. It won’t come easy at first and it might take some trial and error to get it all right, but the hard work, sleepless nights, and sacrifice will all be worth it in the end.